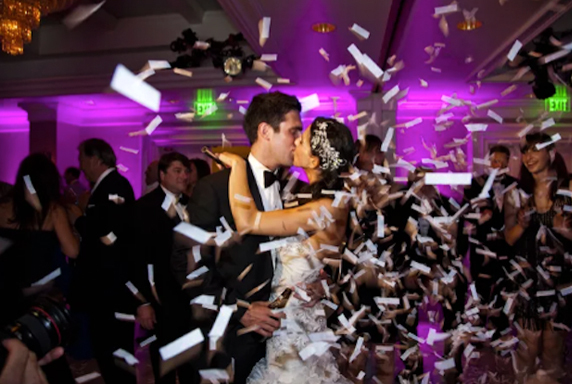 When it comes to wedding reception ideas, couples have to think about the location, the food, the music, and so many other details that go into the party of their lifetime. But while all this planning is going on, don’t forget to think about what you might like to do for your grand entrance into the wedding reception! As one of the biggest but most overlooked moments of the wedding day, the entrance into the wedding reception is a couple’s first official entrance as man and wife—so it should be done right! Grab your new husband or wife and make your entrance like you’re on Dancing with the Stars! 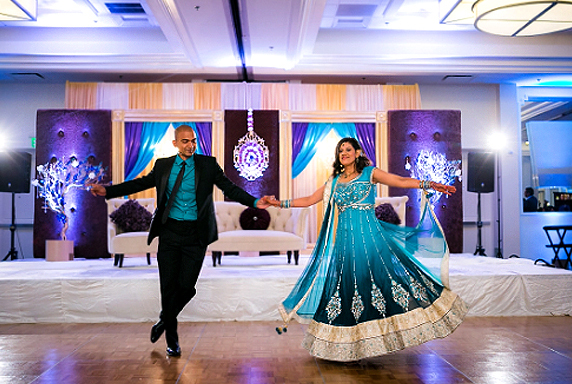 Even if neither of you are dancers, everyone will love this cute, fun, and romantic entrance. Some traditions always work! 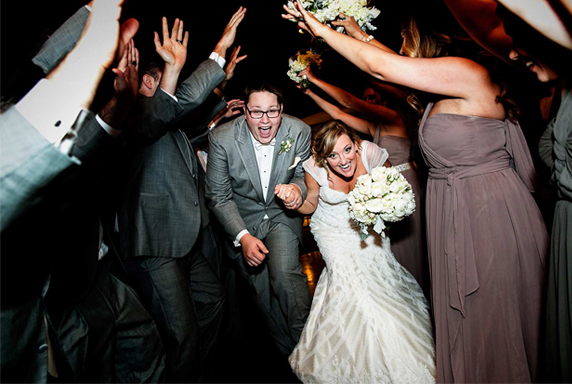 One of the most popular wedding reception entrances for a couple is to have their wedding party form a “tunnel” with their arms while fun music plays. Sometimes this is also done with the wedding party holding up sparklers. 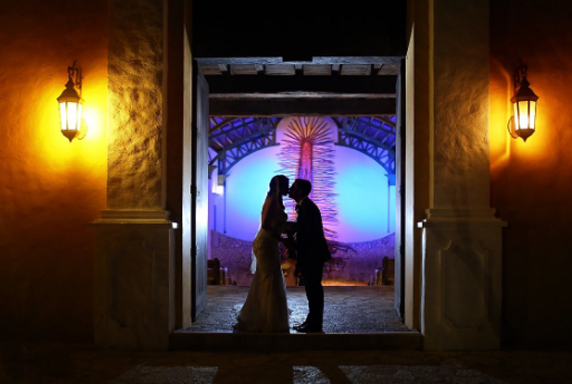 There are specialty lighting companies which can project all kinds of dramatic or celebratory kinds of lights—everything from fireworks to flowers to snowflakes to 3D flying dragons! Some wedding venues even have their own lighting set-ups. If themed lighting happens to match your wedding tone, it’s a fun concept to consider for your big wedding reception entrance. 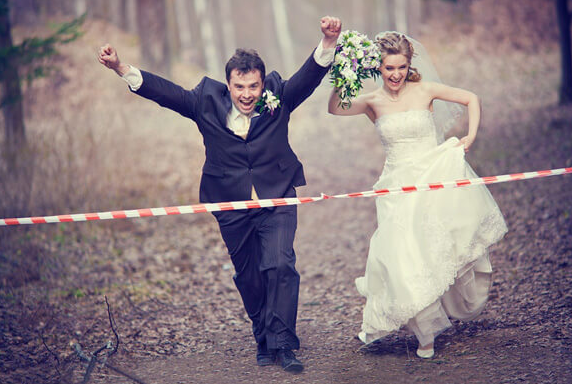 Just before you and your new husband or wife is announced into the wedding reception, have members of the wedding party stretch out a “finish line” for you two to break through! You made it…together! 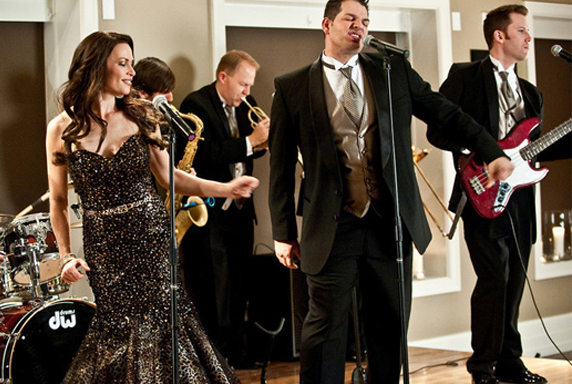 After the wedding party is announced and have all entered, the song cue can change and a singer (or perhaps all of the groomsmen and bridesmaids) can begin singing something fun to lead you and your new husband or wife into the wedding reception. A different and fun idea for a wedding reception entrance is to use a projection screen to create your silhouette for your guests to see. 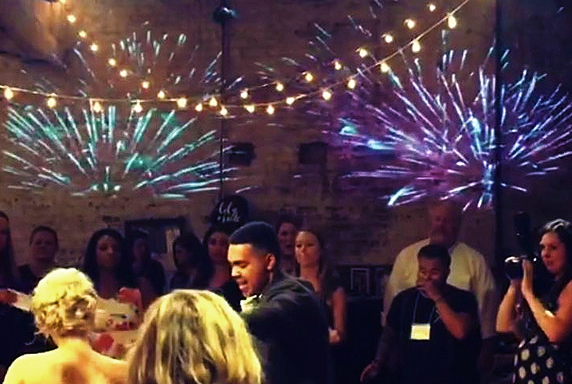 Some couples even go a step further and begin their first dance behind the screen, and then make their way onto the dance floor. This is a beautiful and very romantic way to enter—plus it makes for fantastic photos. As one of the best wedding venues in Los Angeles, our team at De Luxe Banquet Hall has experienced all types of beautiful and unique wedding receptions, and we can even suggest some ideas for your wedding! If you’re currently looking for a stunning Los Angeles wedding venue, take a look at our photo gallery, or simply check our availability.